How To Play, PlayStation 3 and 4 Games On Your PC Without a PlayStation. Playing games on PlayStation is an an altogether different experience, but those who don’t have one shouldn’t be disheartened. You can now play PlayStation games on your PC using Sony’s PlayStation Now app. 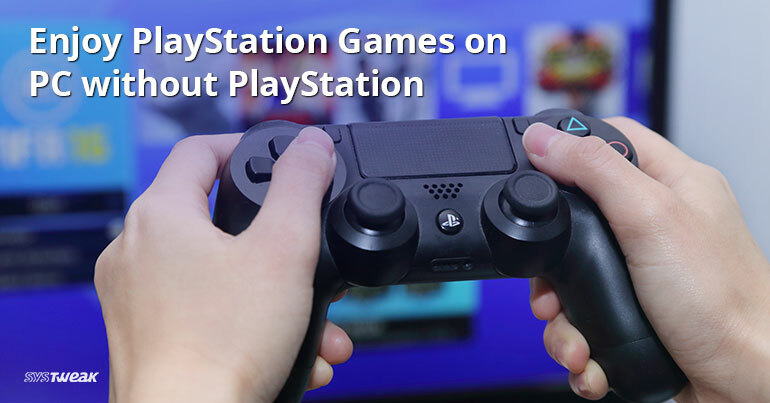 You no longer need a PlayStation, by simply installing the app and you can start playing PlayStation 4 and PlayStation 3 games on compatible devices over the internet. You even get a catalogue with over 500 games for PlayStation 3 and 4 games. A fast internet connection is what is needed. Sony’s Netflix-of-gaming service offers 7-day trial for testing, if you like it you can enjoy it at a cost of £12.99 a month. There will be further enhancements done to the app, soon a dongle will be made available for PC and OS X gamers. This will allow them to wirelessly use their DualShock 4 controller, which is wired at present. 1) Click here to download PlayStation Now installer. Now, run it and follow on-screen instructions to finish the app installation on your computer. 2) Once the app is successfully installed it will launch automatically. If it doesn’t, open it manually. 3) Create an account using the sign up window that appears. If you already have a Sony Entertainment Network login, click ‘Sign in now’ to login. If not, follow the instructions to create a new account. 4) Once you are logged in, you’ll be offered a free 7-day trial. Click on the “7-day free trial” button and sign up using your SEN login for a PlayStation Now trial. After selecting 7-day trial, select games you wish to play. Note: To avoid being billed automatically uncheck the option auto renewal option. To do so, go to your Account Settings > Media > PS Now subscription > “Cancel automatic renewal”. 5) Once the account is created choose a game to start playing. You can even browse from a selection of PS3 games and then simply click “Start” to play the selected game. Most games will run immediately whereas some heavy games (like infamous 2) may require some type of download in advance. After clicking on Start to play the game, plug in your DualShock 4 controller and start using it. Now you are ready to play. PS Now games are streamed online therefore you can easily sync your progress between various PCs and PlayStations. This allows you to start the game from where you left off during you were out for a break. This app brings revolution to the gaming world, it allows you to play PS3 and Ps4 games on your PC, selected tablets, TVs and smartphones. As more and more games are added the library keeps on growing and soon it will become a convincing prospect. This creates a concrete road for the future that we’ve been predicting from some years: where games will be streamed, rather than being bought or downloaded.